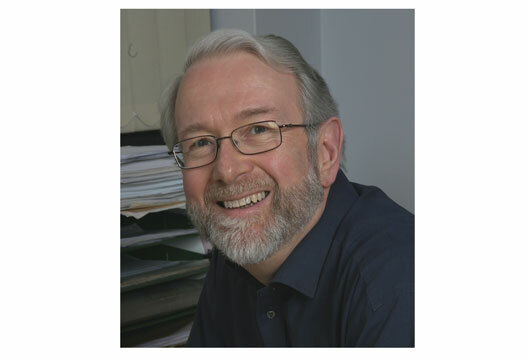 Madeleine Pownall meets Professor David Clarke (University of Nottingham) to discuss an emerging method within psychology – behaviour sequence analysis. How would you describe behaviour sequence analysis in a nutshell? I think it’s like the way we make and use road maps. If you have a map you can obviously trace individual journeys on it, you can plan them or choose between them. There’s also a kind of reverse process as well – you can turn a set of journeys back into a map. So, if you know about lots of journeys that people have been on, described as a list of places, you can combine those back into an overall map. It might be fairly abstract and would look like a kind of network with lots of points and arrows joining them together, but it would still be a usable map. It becomes even more usable if you know how common each journey is. In effect, you mark on your map the motorways and the side roads, then you can start to say something about which routes people are most likely to take at each junction. In our case, the maps don’t show a physical space, but rather the behaviour space people are moving through. Each journey or pathway is then a sequence of behaviours or events, a trajectory that is likely to occur. So, where does that get you? Well, pathways are hugely important in general. If you look at something like the diagrams of metabolic pathways in biochemistry, they show the whole life process in one single diagram. The other thing, from a practical point of view, is that you can select certain features on these maps that are especially important to know about. For example, where there is a dead-end, or if there are critical choice points, where one path leads inevitably to bad outcomes and a different path tends to lead to good outcomes. That is really significant if you’re trying to analyse the pathways by which people get into and out of dangerous situations. In turn, this helps you to plan interventions (and also to know when is the best point to use them). You might call this the ‘last petrol before the motorway’ effect; if there’s a crucial junction after which people don’t have any choices, you’ve either locked yourself into good outcomes or bad outcomes and it’s really important that people know that at the point it’s happening and not when it’s too late. For example, throughout much of my career I used behaviour sequence analysis (BSA) mainly to study the course of events making up particular types of road traffic collision, such as overtaking or motorcycle collisions. But more recently, with colleagues in Nottingham and Lincoln, I have been looking at a wider range of problems, including sexual assaults, eating disorders and self-harm. We are especially interested in tracking the ‘pathways into’ those problems that are well characterised once they arise, but less well understood in terms of their origins and how they can be pre-empted. There’s a lovely quote from John Stuart Mill that we use to summarise all of this: ‘Of all truths relating to phenomena, the most valuable to us are those which relate to the order of their succession. On a knowledge of these is founded every reasonable anticipation of future facts, and whatever power we possess of influencing those facts to our advantage.’ That, in a nutshell, is the point of behaviour sequence analysis. If we are able to systematically pattern and predict behaviours, does this mean that our own behaviour is not as impulsive or spontaneous as we like to think? No, I don’t think so. If you see from the map that more people go down road A than road B, that could be for any of the reasons that they make decisions in any other branch of psychology. It could be choice, it could be compulsion, it could be because one route is more rewarded, it could be because they’re being persuaded. The map doesn’t tell the whole story of everything, it accounts for some of the variance, and the rest of it is currently unexplained. That could mean that it’s all down to chance, or it could be a systematic pattern that we just haven’t discovered yet. One way of using this approach is to compare the different maps you get from different groups of people. So, for instance, if you found the map looks like one thing for younger people and a different thing for older people, then you would obviously be finding out what some of the effects are of age-related influences. In the same way, you could do this for people who are having a certain kind of treatment in a clinical case or not. Do you envisage BSA being used throughout psychology in the future? Well, I certainly hope so! I think it has a lot of potential in all kinds of areas, especially in the ‘soft end’ of the psychology spectrum, by which I mean social, developmental, occupational, educational psychology, and so forth. By capturing how the past shapes the future, it gives almost the same information as experiments do, but without the limitation of having to manipulate causes, which of course with big effects in the real world is not always easy or ethical to do. It gives us a fairly rigorous way of dealing with some messy real-world data; it can work inside or out of the lab; you can use it with histories and case files and other kind of legacy material that you can’t be on hand to record and manipulate at the time. It works equally well with long- and short-term time scales, so you can use it with life stories or the moment preceding a road traffic accident, or any kind of timescale in between. It’s sensitive to proximal and distal causes, which many of our methods are, they’re quite good at picking up how events are influenced by what immediately precedes them; but with sequence analysis you can see the effect of events further and further back in time. Recently there have been political and social events in the UK that have felt incredibly unpredictable and unexpected. Would BSA argue that no event is truly random? Well, yes, but I would argue that every approach to scientific psychology would probably make that point. True randomness is very rare, in the sense that all possibilities are exactly equally probable. More to the point, human behaviour is often complicated and hard to predict, and it turns out in unexpected ways, but that’s not the same as saying that it’s random. In some cases it is actually ‘chaotic’ in the sense of chaos theory. That means that very tiny changes in early conditions will have huge effects later on, and that makes the whole question of prediction extremely difficult. In fact, prediction can be practically impossible, and that’s a situation known as ‘effective indeterminacy’. It’s not necessarily that there are no cause-and-effect processes that work, but the nature of their complexity means that you can’t really put them to use to predict the future with any accuracy or certainty. So, can BSA battle public anxieties? Can it offer comfort in the ability to predict the seemingly random? Yes, I hope there is some comfort and hope to be had from it. It’s a very good technique for modelling and managing complicated situations and problems, and I guess there’s general comfort to be had from the idea that such techniques exist. It can be comforting in a slightly different way as well. We recently used BSA in a study with a clinical group and found that doing the task that was involved in collecting the sequences, and showing them what the sequence maps look like as part of the study, was reported to be very cathartic. The participants found it very insight-provoking and we had comments like ‘I never quite understood how that problem was working in my life before, but now I do’. As a side point, it’s rather nice to have a way of doing psychology that is helpful to both participants and researchers. Should the application of BSA be done with caution? Could it potentially lull non-psychologists into thinking that everything is predictable, and therefore events are avoidable? Well, I think it should used with caution in the sense that I think people should know its limitations… like all techniques, it does have them! It certainly doesn’t take us over a hard boundary from knowing absolutely nothing to predicting with certainly, or from complete danger to complete safety. It allows us some idea of prediction in the sense of reduction of certainty, and of course that’s what information means in information theory. That, in turn, leads us on to the reduction of risk. So, things go from their initial state to being relatively unpredictable, and therefore they can be relatively lower in risk if we manage them appropriately. In some ways this works almost like a weather forecast – it doesn’t provide us with absolutely definite information about what will happen tomorrow, but it does give us a pretty good idea about what’s likely and what’s unlikely. Therefore, from this we can plan sensibly and do the right thing. What’s been the biggest challenge of your career to date? I think it’s been battling against the general conservatism of psychology, particularly some journal editors and journal referees. I’m sure a lot of them have a motto inscribed over their door which says ‘If something if different it must be wrong’. I went into science thinking it was a chance to be an innovator and that new and different ideas would be greeted with enthusiasm, but I find that all too often they’re greeted with suspicion. In part I think this is because the training and education of psychologists has become too narrow. Quite a lot of people entering the field now have done psychology at school, at A-level, at university, and they think there is one set way of addressing our subject. They often don’t have a broad basis in different types of science and methodology. I was very lucky. When I first came across psychology the leading lights in the generation of people who were teaching me and inspiring me, people like Donald Broadbent and Anne Treisman, had come in as a cohort from a bunch of different disciplines, simply because in their generation there wasn’t psychology in schools and universities. Psychologists of those days were a number of renegade medics, engineers, philosophers, linguists, statisticians, and so forth, which brought a huge richness of theory and method into the subject. I think, if anything, this is starting to diminish over the years. You have supervised more than 48 successful PhDs – is interest in BSA research growing? Do you imagine that there are shifts within psychology that are responsible for this? I hope that BSA will grow, but that hasn’t been the case just yet. The method is still largely unknown in psychology. I’ve had more chance to push it and develop it since I retired two years ago than I ever have before that, because I have fewer constraints now with what I do with my time. In a funny sort of way, being retired is a great liberation for an enthusiastic researcher. The present upswing and interest is largely due to my colleague Dr David Keatley at the University of Lincoln, and to our research group, Researchers in Behaviour Sequence Analysis [www.ReBSA.co.uk] and activity with other international research groups, who we are trying to join up with. How do you define what ‘good research’ is? I think research can be good in many ways, not just in one. For the layperson it tends to mean something that is useful and practical, for academics it tends to mean something that is an ingenious way of solving a hard problem. I think it’s important that research should be rigorous and conclusive, but our accepted conception of ‘rigour’ is to avoid false-positives or type one errors at all costs, even if that means making more false-negatives or type two errors. Of course, the two things inevitably trade off with one another. I’m not sure we always set that trade-off at the right place for each question and each area of research, and I’m not sure we even recognise on all occasions that we are making this trade-off. Perhaps in some areas we ought to allow ourselves to run the risk of a few more false-positives, if that’s the price we pay to reduce the number of patterns we miss and questions we can’t find a way to tackle. Another issue for me is how we relate our scientific technical psychology to our everyday knowledge of human affairs as real people in the real world. Our professional stance is pretty much to ignore everyday experiences. In doing so, we tend to produce a body of work that is very hard for other people to connect with. My analogy is that if I lived on a hill and wanted to see further, I would build a tower on the hill. I wouldn’t build a tower in the valley and hope that one day it’ll be tall enough to look over the hill and see further. I think, in a way, that is what our philosophy of psychology is doing. The hill is our ordinary understanding of human affairs, from which we have a certain vantage point. Instead of supplementing that with our technical expertise, we abandon it and start all over again on a lower starting point. We build our tower in the valley. I think it would be this: It is relatively easy to do rigorous research on tidy, well-formed, often trivial problems. It’s also relatively easy to do work on important problems in a way that’s hand-waving and inconclusive. The trick is to get the best of both worlds; to do research which is rigorous and conclusive on big, real-world problems, which are often messy, ill-formed and not very neatly designed for research purposes.